Timothy Dalton's Current Projects 2016 - 2018. This is Timothy in a scene from Penny Dreadful. Project: 'Penny Dreadful' Season 3. Status: Production of Season 3 started in September 2015 in Dublin and early in 2016 Penny Dreadful filmed in Spain. Production Companies: Neal Street and Desert Wolf Productions for Showtime. Timothy's Role In This Project: Timothy plays Sir Malcolm a hardened African explorer on a deeply personal quest. Synopsis: 'Penny Dreadful' is a psychosexual horror TV series where some of literature's most famously terrifying characters, including Dr. Frankenstein and his creature, Dorian Gray and iconic figures from the novel Dracula, as they become embroiled and grapple with their monstrous alienation in Victorian London. Length Of Project: There are nine episodes in Season 3 which are 60 minutes in length. Location: Ardmore Studios Co Wicklow, Dublin, Ireland and in Spain. Production Dates: Season Three of 'Penny Dreadful' started production in Dublin in September 2015 then in January 2016 the cast and crew moved to Almeria on the Costa del Sol in Spain to continue filming. Release Dates: The first Episode of Season 3 aired on Sunday May 1, at 10.00 PM, 2016. Eva Green is playing Vanessa Ives. Billie Piper not sure what character she is playing at this time. Producer: Executive Producers are Three-time Oscar nominee John Logan, Academy Award winner Sam Mendes and Neal Street's Pippa Harris. Composer: Unknown at this time. 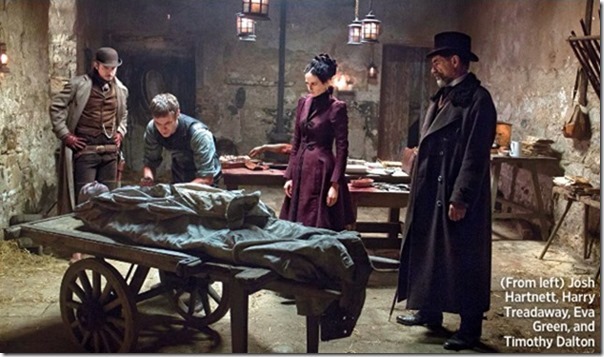 Penny Dreadful News Update: Showtime cancelled Penny Dreadful in June 2016. Production Companies: Pixar Animation Studios and Walt Disney Studios Motion Pictures. 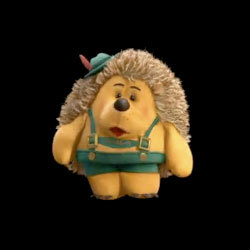 Timothy's Role In This Project: Timothy gives his voice once more to Mr Pricklepants who is a hedgehog. About The Production: Toy Story 4 is the fourth Motion Picture about a group of toys and their adventures. Toy Story 4 is being directed by John Lasseter. Synopsis: Woody and Buzz go on an adventure to find the one toy who was given away... Bo Peep. Length Of Project: 90 minutes. Production Dates: Toy Story 4 is in Production. Release Dates: Toy Story 4 will be in Cinemas in 2018. Timothy Dalton is Mr Pricklepants (voice). Tom Hanks is Woody (voice). Tim Allen is Buzz Lightyear (voice). Annie Potts is Bo Peep (voice). Bonnie Hunt is Dolly (voice). Joan Cusack is Jessie (voice). Jodi Benson is Barbie (voice). Don Rickles is Mr. Potato Head (voice). Jeff Garlin is Buttercup (voice). Estelle Harris is Mrs. Potato Head (voice). Blake Clark is Slinky Dog (voice). Writers: John Lasseter, Andrew Stanton, Pete Docter and Lee Unkrich. Producer: John Lasseter executive producer and Galyn Susman producer.